Today’s trailer is out! Have you ever had to share a bed on vacation? Have you kids? You will totally get this! 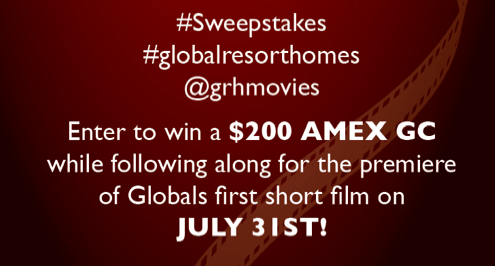 Make sure to come back each day and see what trailer is released next – and be there to watch the release of the Global Resort Homes movie on July 31st! Now enter to win a $200 AMEX GC! Good luck!